This is a very comfortable room for small gatherings or meetings of 20-30 people. 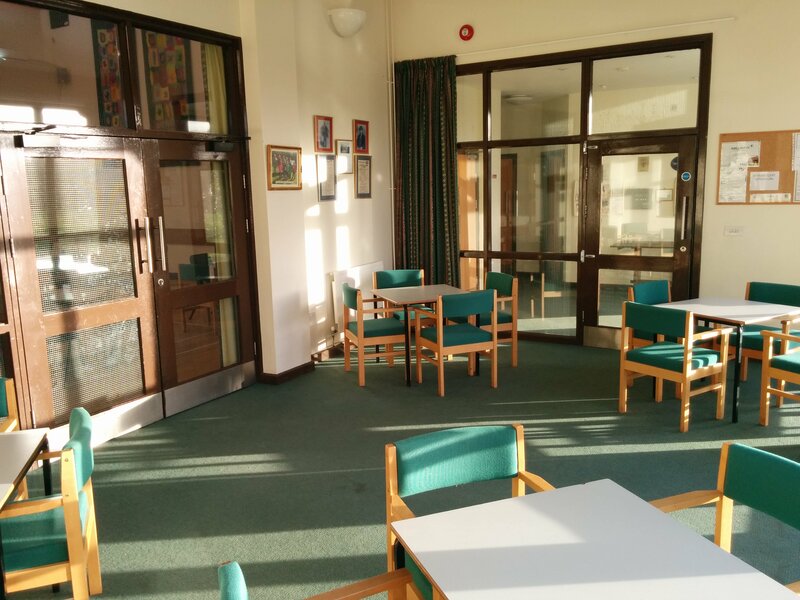 It is furnished with easy chairs (24 chairs are available) and tables and has access to the entrance hall, the main hall and the kitchen. This room has a very pleasant south-westerly aspect overlooking the recreation area.